The Row by Row Experience will be ending in less than a month, this runs through September 2, so you still have time to get in on the fun! What a fun option to add to any of your summer travel plans! So make sure you come in to get your FREE Pattern and we also have our row kitted and available for purchase. Don't miss out on your free pattern. "Be forever grateful...for gratitude unlocks the fullness of life." 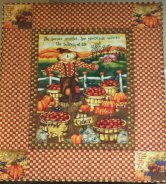 This cheerful scarecrow greets the fall harvest with this colorful wall hanging kit. 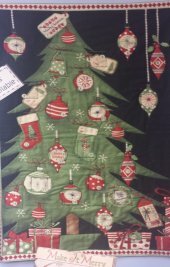 This wonderful advent calendar and Jolly Santa wall hanging kits will surely get you into the Christmas spirit. Who can resist the sweet surprises behind the 25 days of Christmas with the advent calendar. 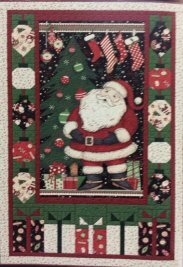 A paneled Santa with pieced blocks that shows all the gifts you wish Santa will bring. 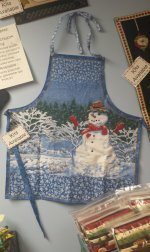 Nothing like a snow man to help you bake and cook away on a snow day, with this apron kit. 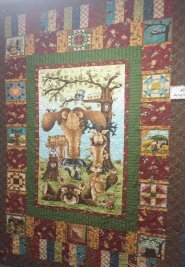 This wonderful kit features your friendly moose and all his woodland friends. 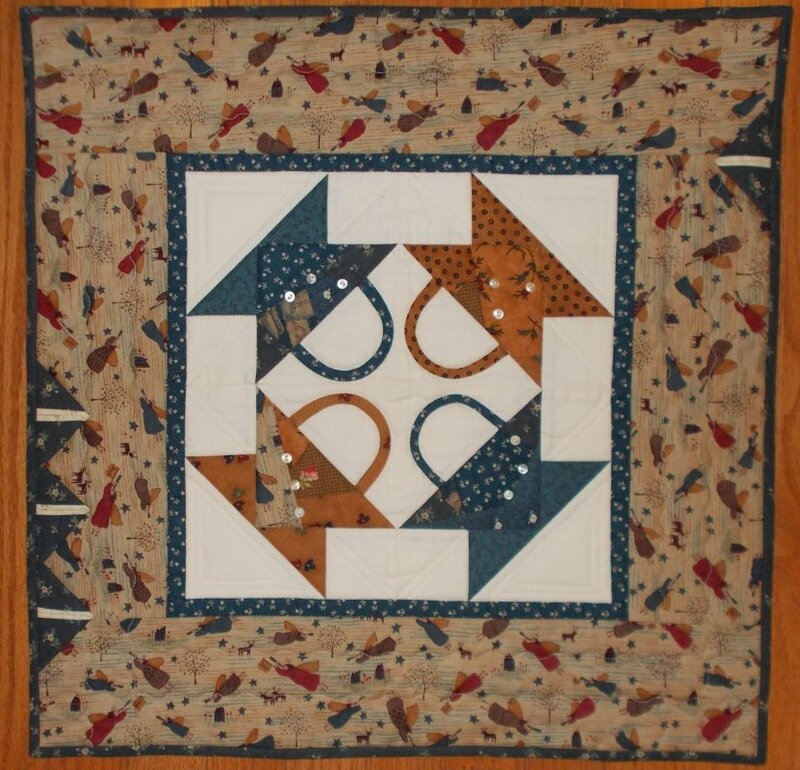 Pre-printed quilt blocks with coordinating prints with plaids, florals, characters, animal tracks, and acorns with leaves. 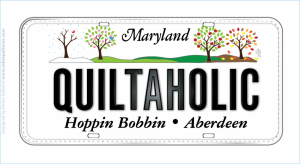 Starting August 11th, Hoppin Bobbin will be offering a FREE block of the week on Facebook ONLY. This is a series of 40 blocks that will introduce several remarkable Women of the Bible. Each pattern will be available, online, for 2 weeks. 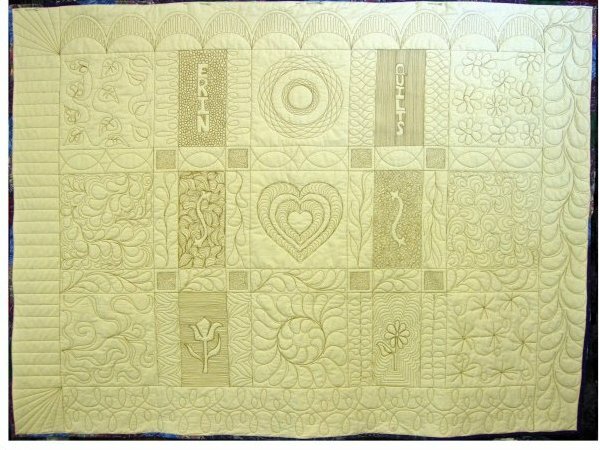 This is a 41 week series with 40 blocks and finishing instructions. 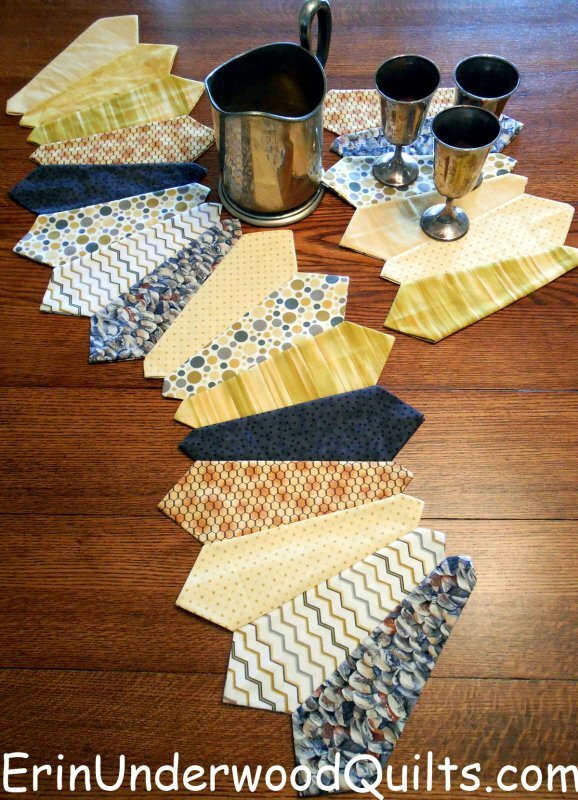 If you miss a week, at the end of the series there will be a CD, with all block patterns, available for purchase, to all our Facebook followers. Make sure you LIKE us on Facebook and share with friends and family. Who said the Storm at Sea pattern had to be hard? 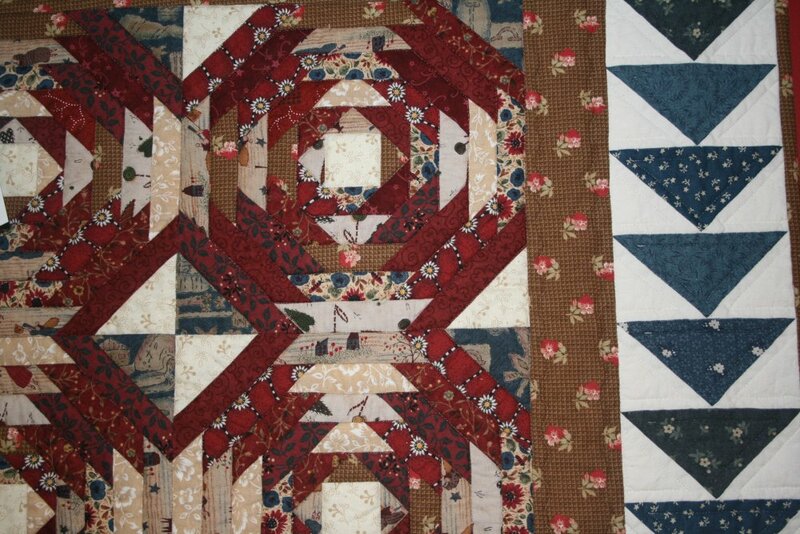 Three simple units sewn in rows complete this design. Using Square in a Square Technique options 1, 2, & 7. Using Square in a Square, Technique Reference Book, Volume 1 by Jodi Barrows.